ANA Etching Gel is an enamel and dentine etchant with 37% concentration of phosphoric acid. It is a well established fact that etching materials should contain 35-40% phosphoric acid. ANA Etching Gel and it’s texture is perfect for any way of etching. Using enamel etch or total etch technique. How should I use ANA Etching Gel? 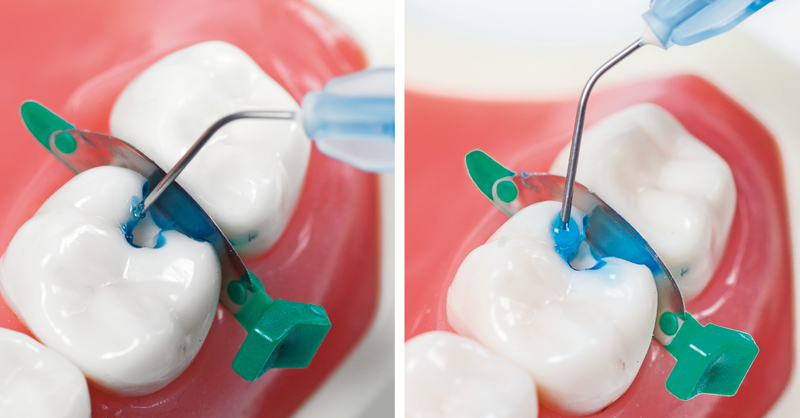 Use a thin flexible application tip for accurate placement on the desired area. On enamel leave the ANA Etching Gel 20 sec maximum. For total etching place first etching gel on the enamel, agitating gel to make it more effective. After 10 sec brush out etching gel for 10 seconds on dentin. Rinse etching gel, blow dry. Make sure there is a frosty etched surface of the enamel. Continue filling procedure following instructions of used materials. ANA Etching Gel is is a bright blue enamel and dentine etchant with 37% phosphoric acid with perfect texture. ANA Etching Gel stays in place without collapsing, the texture is perfect for any way of etching and the consistency gives an exact application. The ideal viscosity in combination with the blue colour enables very precise and clearly detectable placement. The thin bendable needle helps with accurate application. Nano sized particles are of importance for ANA Etching Gel. The consistency gives handling properties required by all dentists such as exact application at the correct time and a complete rinse off and no phosphoric acid is left in the cavity. ANA Etching Gel is an enamel and dentine etchant with 37% concentration of phosphoric acid. It is a well established fact that etching materials should contain 35-40% phosphoric acid. ANA Etching Gel and it’s texture is perfect for any way of etching. Using enamel etch or total etch technique. Enamel without treatment x 4000 (pic.1). Enamel treated with ANA Etching gel x 4000 (pic.2). Dentine without treatment x 4000 (pic.3). Dentine treated with ANA Etching gel x 4000 (pic.4). From report on effectiveness of new ANA Etching Gel. By prof. Paz Alejandro G C. Dental material University J F Kennedy, Bs Argentina. The analysis showed appropriate values for diameter and depth of the etch pattern in enamel. In dentine the decalcification left the tubili exposed in appropriate form.